KUALA LUMPUR: The Anti-Fake News (Abolition) Bill 2018 is not the first motion rejected in the history of the Dewan Negara sitting. 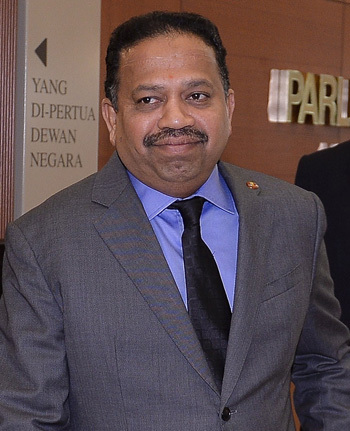 Dewan Negara president Tan Sri S A Vigneswaran said the rejection of a Bill had occurred earlier involving the Pesticide (Amendment) Bill 2004. “The Pesticide (Amendment) Bill 2004 had been sent back to the Dewan Rakyat for disclosure and later the Bill was passed. “If the Dewan Negara wishes to reject the Bill, it is allowed to do so but the Bill would be returned to the Dewan Rakyat,” he told reporters at the Parliament lobby. The Dewan Negara sitting yesterday rejected the Anti-Fake News Bill 2018. The matter was announced by Vigneswaran, after a block voting saw 28 members of the Senate not supporting the abolition of the act compared with 21 who supported while three others abstained.